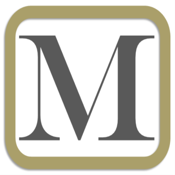 Massachusetts DUI OUI defense lawyer, Attorney James Milligan offers this mobile app to his clients and friends for direct access to his law firm as well as for access to other useful tools and helpful resources such as an appointment scheduler, Blood Alcohol Conetnt (BAC) calculator, GPS directions, client alerts and updates, legal articles, and FAQ's. We encourage our clients and friends to download our mobile app to your phone and stay connected with us. Please note, downloading or using our mobile application does not constitute or establish an attorney client relationship.